Many people make mistakes some time in their life and then are burdened with a criminal conviction. A misdemeanor drug violation, DUI or any other crimes in a person’s distant past can affect them in many ways. Any type of criminal history can keep people in Louisiana from having educational opportunities, a license or permit required to pursue a career and more. Many employers won’t even consider a person with any type of criminal history. There is a way to have a criminal record removed in Louisiana and it’s called expungement. If a person is successful with this process, their criminal file will be removed from public and legal view. A person in Louisiana can have their juvenile criminal file removed. The laws that cover this procedure are in the Louisiana Children’s Code Articles 917 to 922. Unfortunately federal law will not remove a person’s criminal history. The only possible exception is for people who were convicted of drug possession when they were under 21-years-old. To begin the process in Louisiana a person should first determine if they qualify. Only certain types of criminal history can be removed. In Louisiana, violations of a local ordinance, state misdemeanors and even a felony charge that did not result in conviction may be removed from a person’s file. The details of how to remove a criminal record in Louisiana is covered in Article 894 in the Code of Criminal Procedure. If a person does qualify they should then go to the county court house that handled the legal proceedings. In Louisiana each of the courts may have use a different form or have a slightly different procedure. The county clerk in a county courthouse should be able to provide information on their particular process. In general, the clerk at the county courthouse will be able to provide the necessary forms to have a criminal record removed. Every court will require a written claim called the Motion for Judgment of Expungement. This must be filed with all required legal documents that confirm the criminal file is eligible to be removed. Some courts will require a fee and others do not. There is no uniform law in Louisiana that covers the process for removing a criminal file or what fees should be charged. Once the motion has been filed, a hearing will be scheduled by a judge who will decide if the motion will be granted. Under normal circumstances, the presence of the person who filed the motion will not be necessary. If the motion is granted, it will then be signed by a judge. It is then the job of the Clerk of Court to provide a copy of this judgment to the Louisiana State Police and any other law enforcement agency involved with the court proceedings. The entire Louisiana expungement process from beginning to end will take an average of five months. A person can begin the process right away if their case was dismissed, they were given an acquittal or a motion to quash a previous court decision was granted. The process can also begin for someone who is charged with a crime, the time limit for its prosecution has run out, and they were never prosecuted. It’s advised that people begin the process to expunge record in Louisiana as soon as they’re eligible. Nobody will work harder to remove a criminal file than the person who is suffering because of their criminal history. If someone’s criminal case was very simple, and they’re comfortable with the legal process, they should consider doing it themselves. 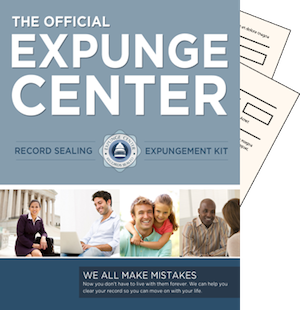 They can easily obtain an expungement kit from expungecenter.com. These kits will provide all the details and forms necessary for removing a criminal record in Louisiana.